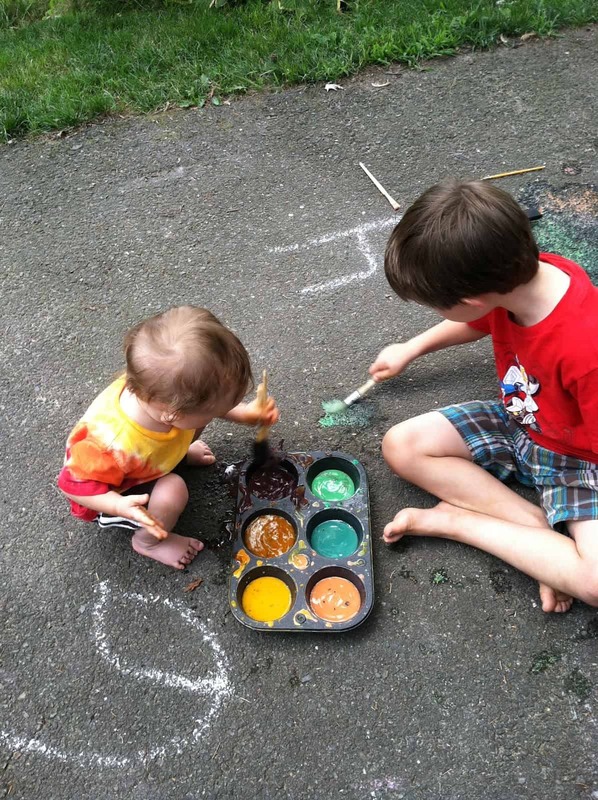 I’ve been looking forward to making homemade chalk paint with Dylan this summer and today was the day we did it! I got this idea from Come Together Kids. 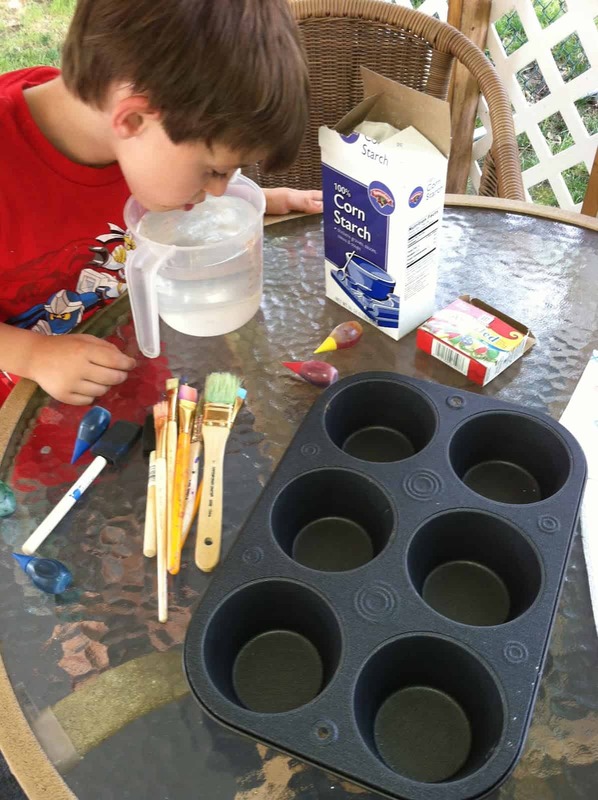 Simple, inexpensive and a bit messy but that’s what summer time activities are about for us! 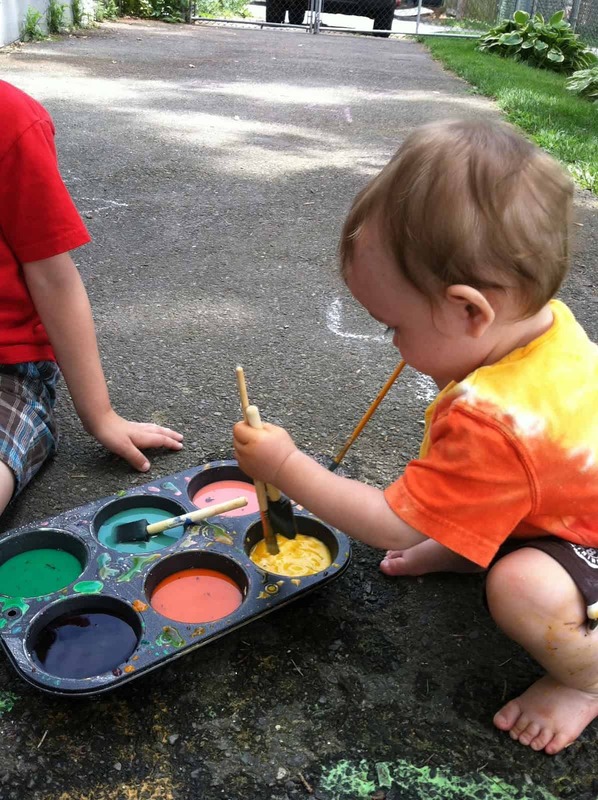 You will need cornstarch, water, various paint brushes, food coloring and something to mix the paints in. I used our large muffin tin container. Mix in equal parts water and cornstarch into each tin. 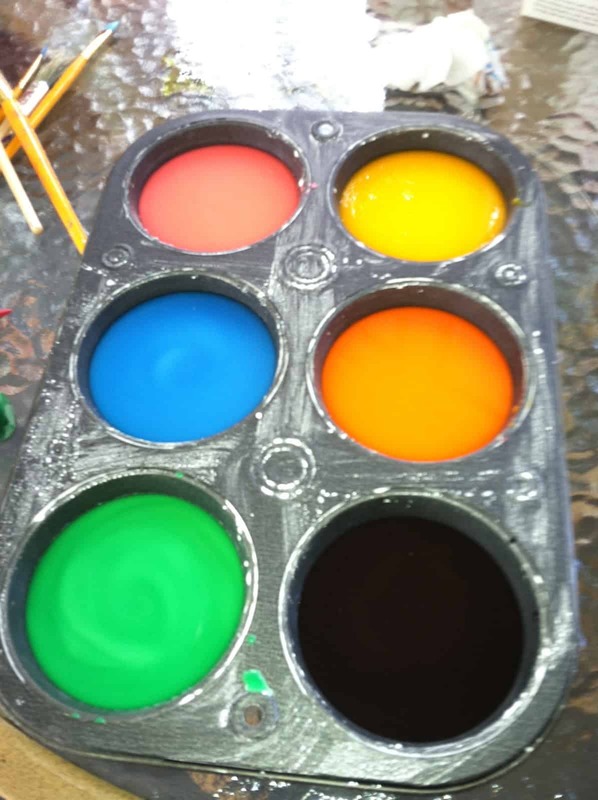 Mix in a few drops of food coloring. 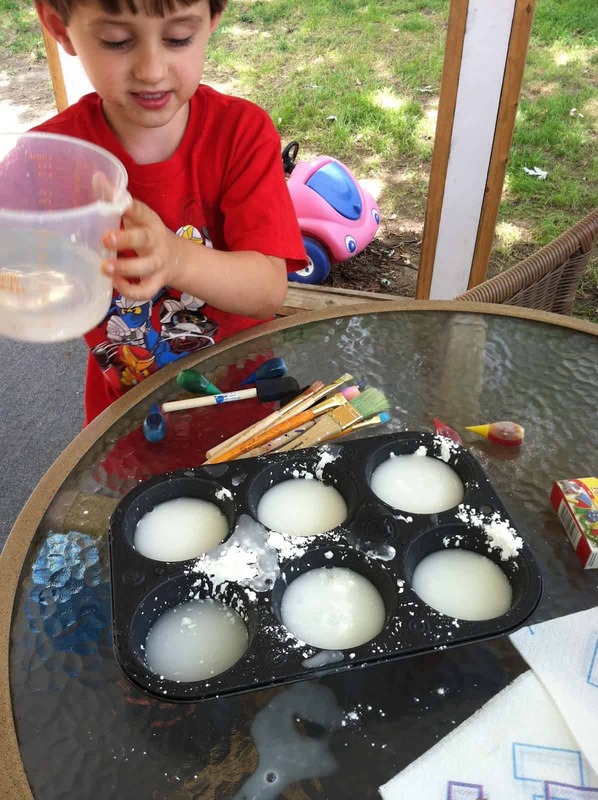 We used our fingers as then we could feel the cornstarch on the bottom and this would ensure it was well mixed. 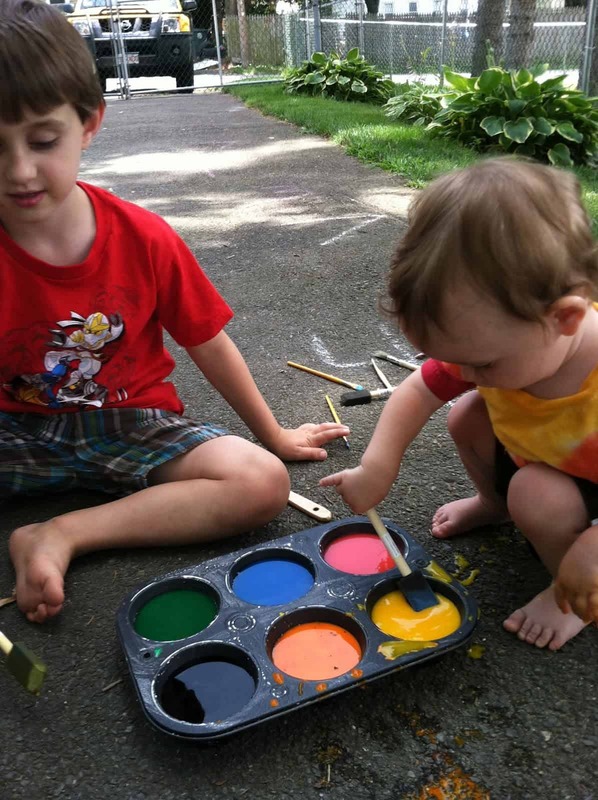 Take your paints, to the sidewalk or driveway and get painting. The painting goes on kind of watery but when it was drying, the colors got brighter. 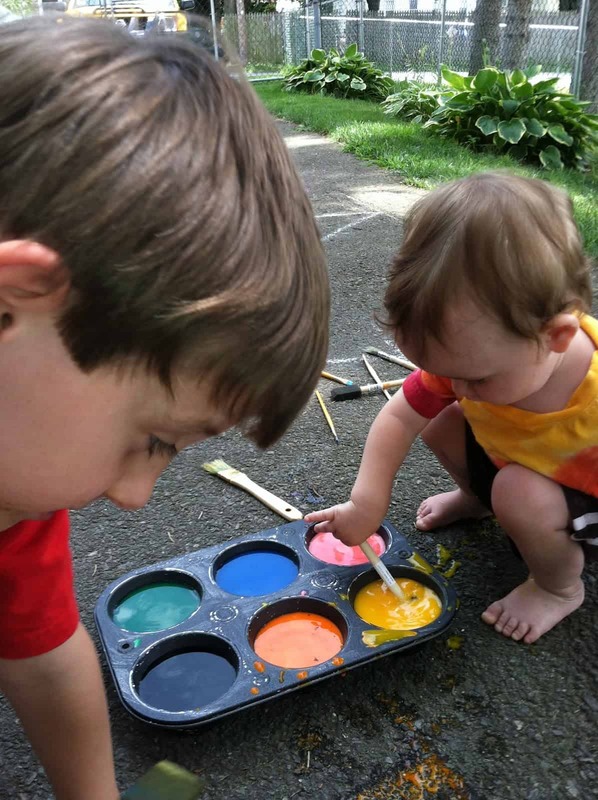 I have an eleven month old and a 5 year old and both had a fantastic fun time with this project. I couldn’t decide on which picture to add, so I added a bunch! 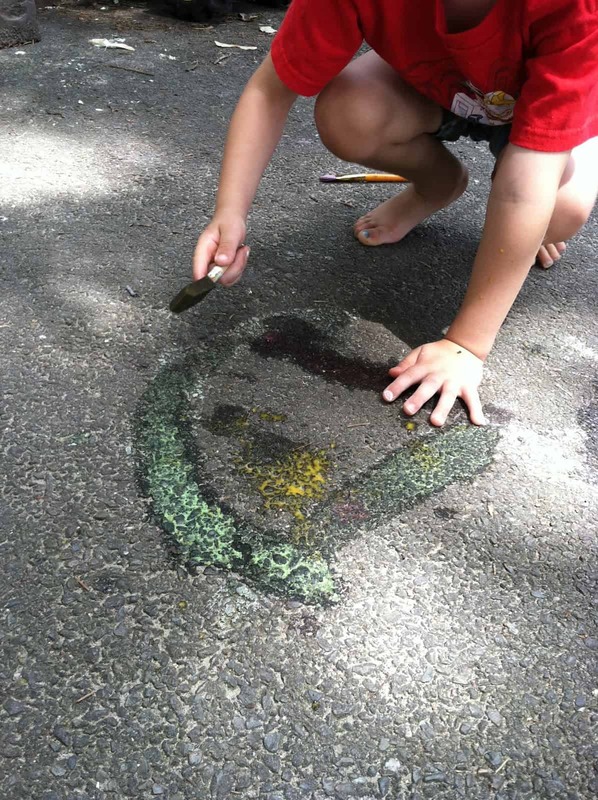 Dylan has already asked me when we would make this again!